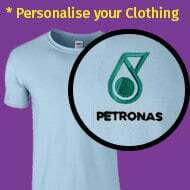 Personalised Clothing is what we do best. Using the very latest embroidery and printing techniques and equipment we produce high quality embroidered and printed clothing. Our embroidered and printed clothing is worn in a variety of sectors we supply to, from work clothing and corporate wear to promotional items. Whether you are wearing a tie or not look smart in a long sleeve corporate shirt from JKL Clothing. Add colour and style to your office wear with a long sleeve shirt or blouse from the collection on JKL Clothing's website. 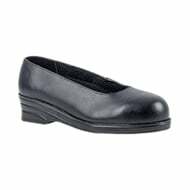 Finish off your outfit with a pair of women's office shoes from our women's corporate footwear range. 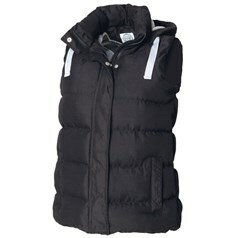 Choose from popular brands such as Portwest and make the most of your corporate clothing. 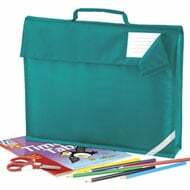 JKL Clothing stock and supply a range of Children's Book Bags, all as part of the schoolwear and kids department of JKL Clothing. 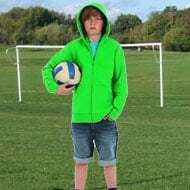 All children's hoodies supplied by JKL Clothing are always in stock and are available with short delivery times. JKL Clothing have responded to the demand for children's rugby kit and clothing by sourcing a range of kids rugby kit from a number of brand names including Kooga and Front Row. 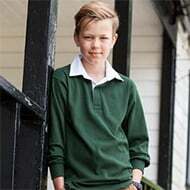 JKL Clothing stock and supply a range of children's PE t-shirts, all as part of the schoolwear and kids clothing department of JKL Clothing. Why not buy a personalised pre school t-shirt, by adding embroidery or printing to your order. Call our Sheffield office on 0114 2398000 for all your embroidered and printed baby and pre school clothing requirements. 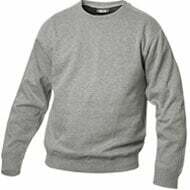 Sweatshirts for kids are ideal garments to include in a school uniform. The range of colours that are available means you can probably find the shade that is desirable for your school. Rowers, swimmers, coaches and trainers, participants and observers can all find a T-shirt that will meet their needs at JKL Clothing. We have aprons for both male and female along with specific aprons for bar and restaurant uniform. Supplying your workforce with stylish, practical and affordable personal protective equipment is an employer's responsibility. 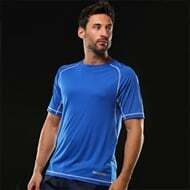 T-shirts be they for men or women are incredibly popular as a casual wardrobe items. There are cheap, inexpensive T-shirts and there are cheaply made, poorly constructed T-shirts. A passion for great and stylish clothes begins with a simple system of beliefs: that the needs of the customer should be met in the best of ways; that the company should devote itself to always improving its inventory and never rest on its laurels; and that the manufacturing process should be fair to all workers and the environment. 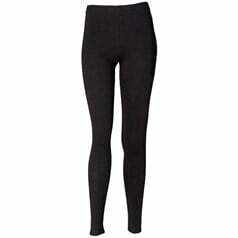 That is Skinnifit’s system of beliefs and it reflects in their gorgeously soft and wearable clothing. Skinnifit launched a men’s line in 2004 and since then it has experienced tremendous success across the continent. These bold, brilliant items declare that plain is never boring and high quality is always hip. The modern stitching and stretch fabric ensure that the items remain soft after scores of wash cycles and outings. Known for its women’s and children’s lines as well, Skinnifit is continually searching the globe over for new ideas, new techniques, and new trends to deliver to the customer the best apparel possible. Fill in the form below and a member of our team will be happy to contact you to dicuss your requirements. Just like to say thank you for all support and help! I Got the order and I love it, thanks for all your help on this! I received the aprons and jacket yesterday - very speedy, thank you. They all look wonderful too. I would definitely recomend your services! That is great to know about the discount thank you. I am intending on growing my team over the next few months and will likely require more uniform as a result. Thank you for your email, I was extremely impressed with the speed and the quality of service from JKL. Hi Alexia Just to let you know we received the bags in good shape they are great. Thank you so much for all your help with this really appreciate your patience! Hi Alexia, I have been meaning to send you a message to thank you for the replacement rugby shirts, I have received them and I am very pleased with the quality!